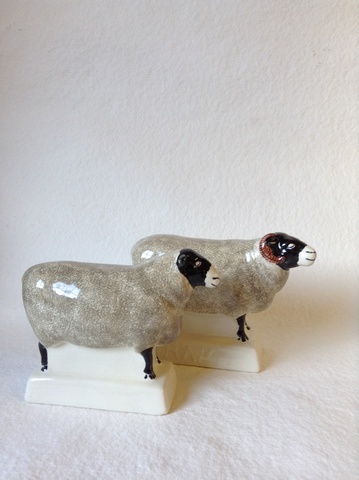 A classic pair for us who this autumn/winter 2013, we’ve also given a whole new winter coat as part of our new All White collection. 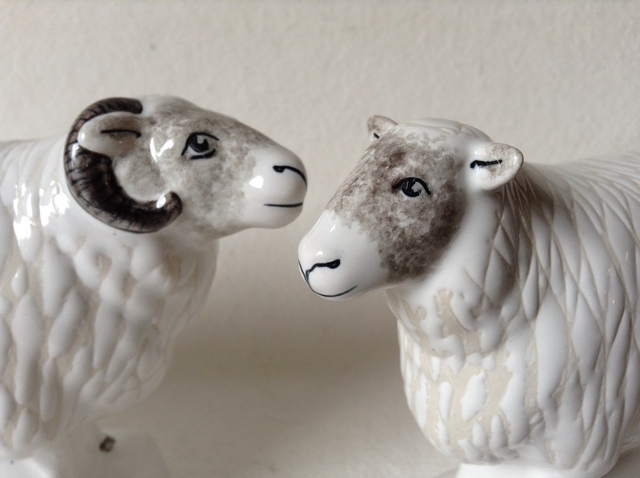 This peaceful pair come in two colourways at the moment, Swaledale with black faces and intricate coral horns, or the new All White with delicate sponged Charcoal faces and hooves. 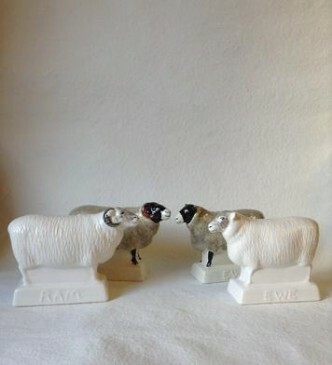 The All White pair uses a technique called Tracery, where the glaze is scratched by the paintresses, giving the sheep a textured coat you can actually feel. 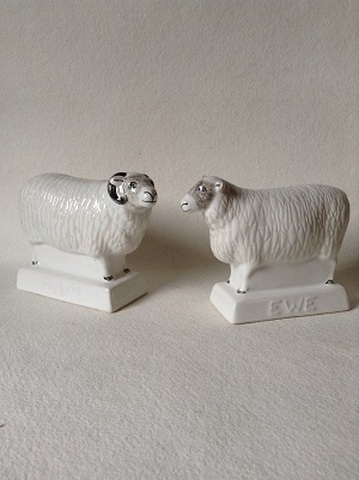 More than ever with our pieces, no two sheep will be the same. 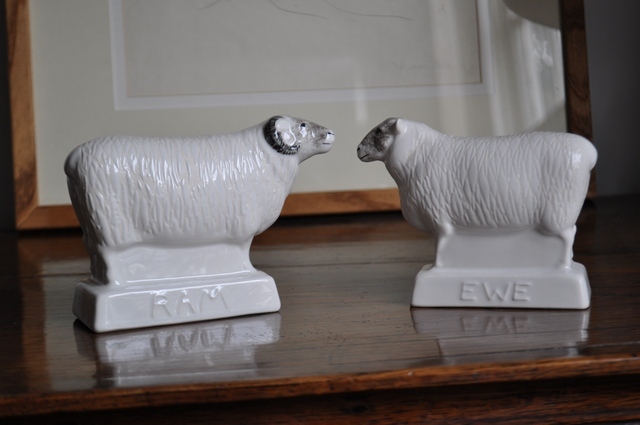 We have to admit our Black Face Sheep grace many a country kitchen dresser, not least a host of Sussex and Kent farm houses and were originally modelled for Rye Pottery by renowned sculptor and ceramicist, Tony Bennett.